“Getting 86021 error in Redmi Note 4 while unlocking bootloader”, “Redmi Note 4 Unlocking Bootloader stuck on 99%” or getting “Bind your device” error while unlocking bootloader of your phone. 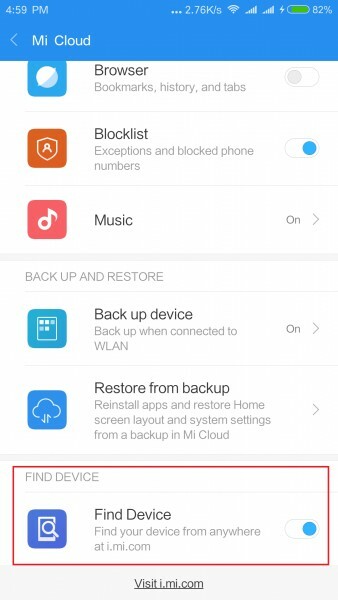 These are some of the biggest problems Xiaomi phone users are facing at the time of Unlock. So todayI’m writing this tutorial after a lot of trial and error which will help you fix all these errors on your Redmi Note 4. 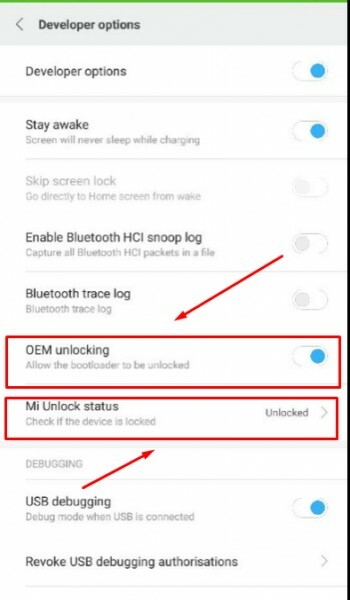 These tips will work on any Xiaomi phone and allow you to successfully unlock the bootloader of your Mi Phone. As you guys know that all of the Xiaomi phones comes with the locked bootloader and many users want to root their phone or want to install some custom ROM on the phone. So to do this first you need to unlock the bootloader of your Redmi Note 4. 0.1 Why did Xiaomi lock the bootloader for Mi devices? Why did Xiaomi lock the bootloader for Mi devices? Many users want to know why recently Xiaomi locked the bootloader of the Mi phones. Here we are giving you some details why they did this. Most of the users bought the MI phone from Unofficial source and complaining that they sometimes get fake Mi phones or Mi phones with unofficial ROM loaded with bloatware. Si this was the reason they locked the bootloader so that no one can flash the unofficial ROM or some bloatware on the phones. And the second reason is, suppose Mi phones are lost or stolen, the person who got the device could easily flash a new ROM into it, and it’s almost impossible for our users to get their phones back. So Xiaomi Locked the bootloader that no once can format or reflash the MIUI ROM easily on the phone. Before unlocking the bootloader follow these steps on your phone to avoid unlocking errors on your phone. Follow all of them one by one on your Xiaomi Phone. a) Enable OEM Unlocking option on your phone. To do this, go to the Phone Settings > About phone and Tap the MIUI Version option for Several times until it enables the developer options. 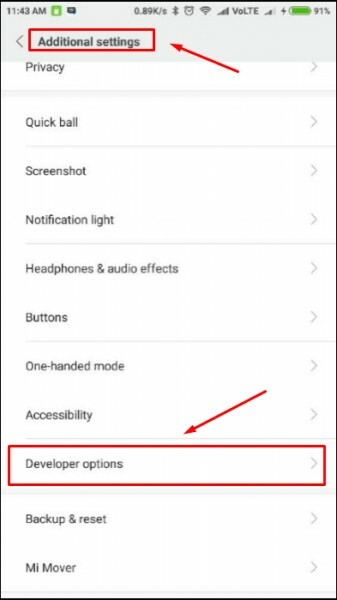 After enabling the Developer options go to Additional Settings – Developer options. 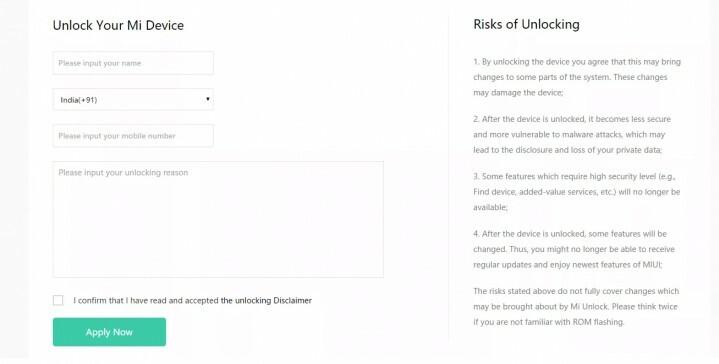 In Developer options, you will see an option of Allow OEM Unlocking, Enable that option. b) After that Enable the Find Device option on your phone. 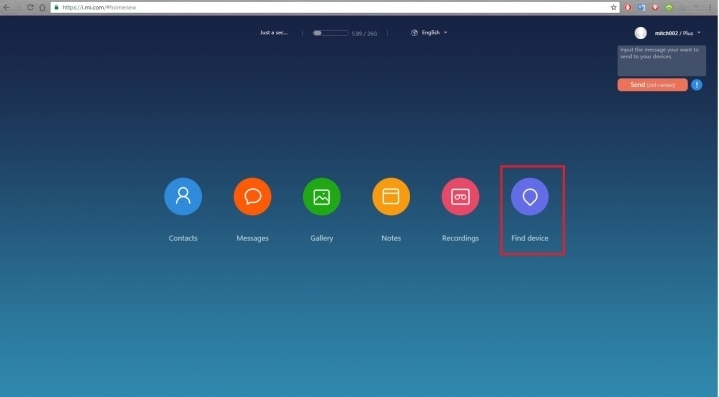 To do this go inside your Mi Account on your phone and check the Find Device if it’s ON. c) Check your phone is online on MI Cloud or Not. 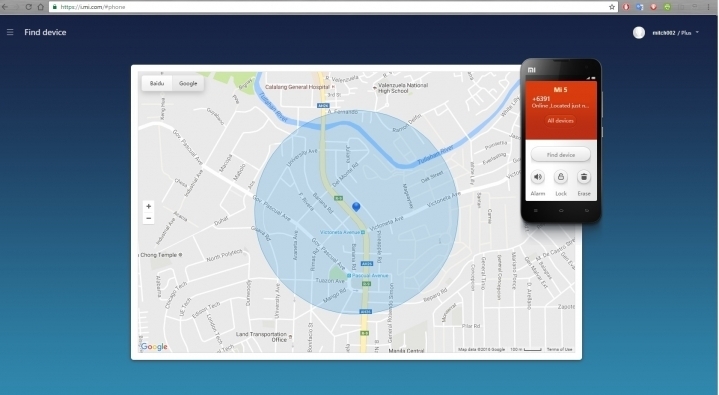 Go to i.mi.com and log into the Mi Account that’s the same as the one in your phone, select FIND DEVICE. Let it detect your phone, and it should look like this, and please check if details of your phone and location are correct. d) All the steps are completed now and wait for 6 to 7 days and after that try to unlock your phone. 1. Head towards http://en.miui.com/unlock for English site and apply for unlocking. You shall reach the page showing application form like this. Use the Same Mobile number to apply that you used to create the MI account on your phone. Please provide the reason you want to unlock accordingly. 2. Now in a few days, you will receive the Unlocking permission message on your phone. After getting the approval wait for 6 to 7 days. Don’t try on the same day otherwise; you will get some error. WEait for few days and then try it. 3. 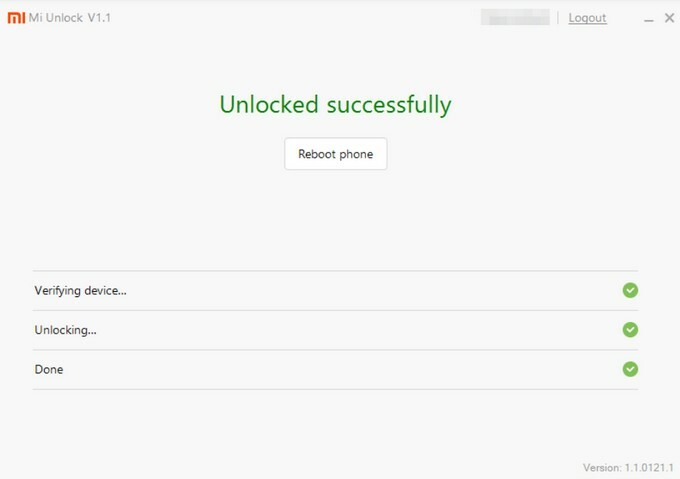 After 6 days visit this page again http://en.miui.com/unlock and download the MI Unlock Tool and save it to your desktop. 4. Now boot your phone is fastboot mode. To do this turn off your phone first. Hold and Press Volume Down + Power for few seconds, and your phone will boot in fastboot mode. 5. Once your phone in fastboot mode, connect it to the PC with USB cable. 6. Now run the Mi Unlock Tool and Login with your Mobile ID and start the unlock process. The unlocking process will complete in about 10 seconds. 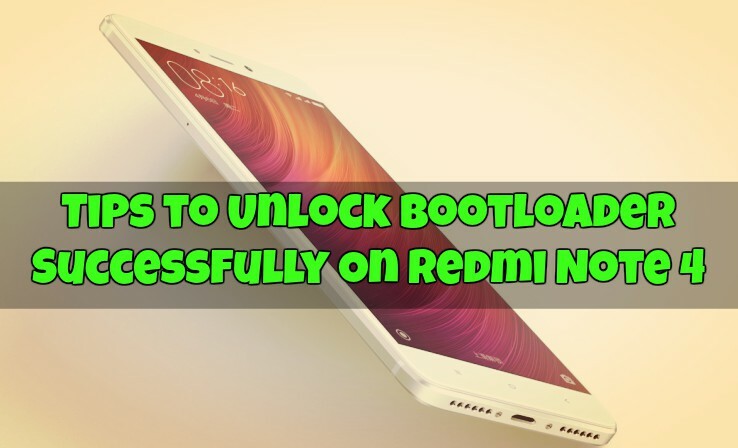 So basically this is how you can Unlock bootloader of Redmi Note 4. Got this after a lot of effort. Now you can root your note 4 with this guide. And don’t forget to check some of the best-hidden tips of MIUI 8 here. Do let us know that in the comments below. 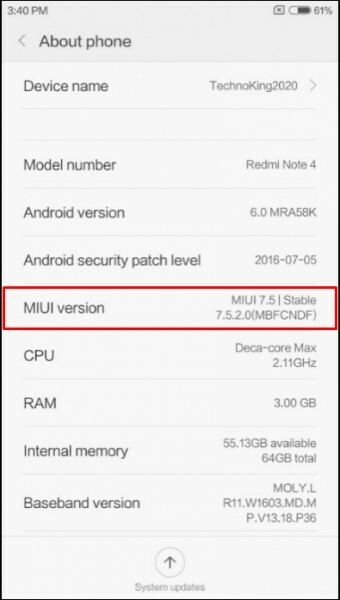 Any way to unlock Xiaomi redmi note 4 bootloader without Mi permission?